Heliocentrism Is Dead. 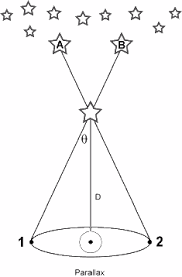 There Is No Stellar Parallax! 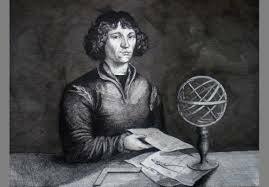 Copernicus was a Sun worshipper who had been studying Platonic mysticism, which claimed the Sun was the highest in the observable Universe. It was this that drove him in his quest for Heliocentrism, at the cost of the facts. By the time of the late Middle Ages, it was becoming clear that the Planets were indeed circling the Sun and that the Ptolemaic system needed a serious update to accomodate this. In the first place, astronomy had always seen the Planets as simply wandering stars, luminiscent spheres on the firmament, only different from the other stars because they were moving, unlike the others. However, Bessel and his contemperaries quickly jumped to the conclusion that this must be the stellar parallax that they had been looking for ever since Copernicus, no less than three centuries. But this was most likely a premature conclusion. After all: parallax is the seeming movement of closer by stars relatively to further away ones as the result of the Earth orbitting the Sun. Spell it out for me Anthony!! …I mean it please! April 1st spells it out Jeff! It turns out that ‘modern physics’ is about as reliable as ‘modern medicine’. And is this place flat and supported on the backs of elephants? Was it built by nephilim in order that unicorns could roam free? I’ve changed my mind on a vast number of things over the last decade or so, but this is a trip I’ll be sitting out. Keep up your excellent work on economics, I’ve learnt much from your articles. I’ve tried to spell it out as simply as possible in the post Jef. However, I’ll be building the case in the times ahead. It’s all rather huge and I need a little time to exhibit the whole case. I look forward to your future posts! I’m especially interested in more about positive and negative stellar parallax. Does that have anything to do with what’s called aberration? If you haven’t already done so do a Youtube search for Malcolm Bowden – very informative and helpful videos. Joshua 10:13 (KJV) And the sun stood still, and the moon stayed, until the people had avenged themselves upon their enemies. Is not this written in The Book of Jasher? So the sun stood still in the midst of heaven, and hasted not to go down about a whole day. The sun stood still and the moon stayed not the earth stopped spinning and stopped orbiting the sun. Indeed thetruthnotdoctrine, the Bowden vids on Youtube are excellent and highly pertinent. The question asked was moving earth or fixed earth? And the reply was fixed earth. Now what is it about those two words that you do not understand and are you saying that the equations based upon a fixed earth launch would be the same as those for a moving earth? I suggest that you research Malcolm Bowden and Mach’s Principle. Are you quoting a Malcolm Bowden YouTube video regarding the letter written to NOAA? If you are, what is the title of that video? Or, please provide a link to it. If you’re not, can you give us some information about your source? No, I am not quoting Malcolm Bowden. I obtained a copy of the letter from, of all things, an Islamic web page. This is the page but I cannot find the article with the letter’. You are just telling us a ‘bad’ time story. In which you are jumping from the one highly premature conclusion to the other. Without any real logical sequence of thought. You are using pseudo-logics my friend. Apparently you find the idea – the geocentric model – so sensational that you are calling out for the definite conclusion before even hammering down one convincing statement that led you to this disruptive idea. Within which there is no cosmology thinkable let alone hermetic. Science, like religion, is a mixture of truth and lies. Not all a lie. Taking your advice, I watched some Malcolm Bowden stuff. The Catholic Church can in no way – scientifically, spiritually, nor socially or in a humanistic sense – be defended for their wrong doings against humanity during the ages of her existence. The creed of Malcolm Bowden during his four minute introduction in this video, shows he has no scientific nor a metaphysical understanding of the cosmos. He cultivates nothing more than a superstitious mind. He is free to do so. But alternative or independent researchers and publicists should take their tasks seriously in the light of continuous terror performed on earth. So we need to combine and synthesize our scientific and metaphysical capacities, optimizing it by granting some space for fantasy and imagination, maybe. But also by severely leaving out superstition… And by severely leaving out any reverence to the Roman Church, for all good reasons. Parallax doesn’t depend on a stars distance from earth, it depends on the difference in distance of multiple stars from earth.one star a billion miles away with another one 10 billion miles will have parallax. Little or no parallax means the stars are all about the same distance away.